The Museum’s first evening of the 2017 Gabriolan Talk Series will feature geologist Steven Earle discussing earthquakes. Steve will review the geological origins of earthquakes on Canada’s shaky western coast and will discuss the evidence for and effects of some important past quakes. While we cannot predict the timing of future quakes, we know that they will continue to affect our region. The most important thing for any community is to have a good idea of what to expect and how to be prepared. Dr. Steven Earle has been practising as a geologist for over 40 years. 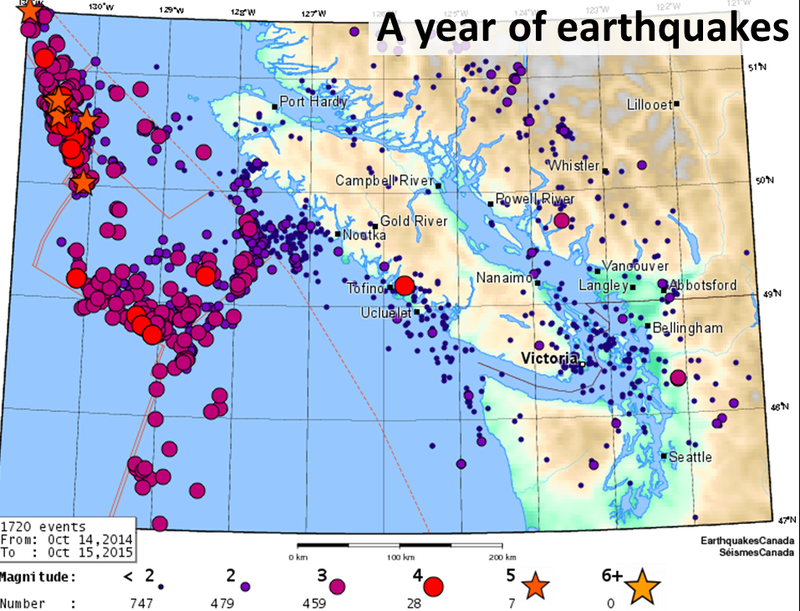 He has developed taught a wide range of Earth Science courses—including some with a significant focus on earthquakes—at both Vancouver Island University and Thompson Rivers University. In 2015 he wrote an introductory Earth Science textbook that is now widely used at universities and colleges across BC and also at universities in other parts of Canada and the US.